I didn't really plan this at the time, but today is an ACE publishers' day! Both books are published by ACE and they both happen to release on October 30th! Sooooo cannot wait! Loved the first book, this is definitely a series I am excited about! WARNING: DO NOT READ DESCRIPTION BELOW IF YOU HAVEN'T READ BLACK HOWL!! THERE ARE SPOILERS! 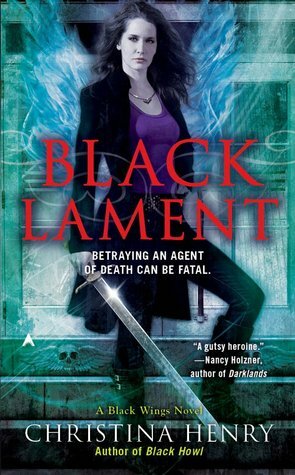 As an Agent of Death, Madeline Black deals with loss every day. But when tragedy touches her own life, Maddy will have to find the strength within to carry on. Devastated and grieving, Maddy unexpectedly finds hope with the discovery that she is pregnant. OMG! I soooo desperately CANNOT CANNOT wait for this one! If you've read Black Howl, you know why! I sooo soooo hope to see Maddy do something to "you-know-who"! If not this book, then you know, soon! 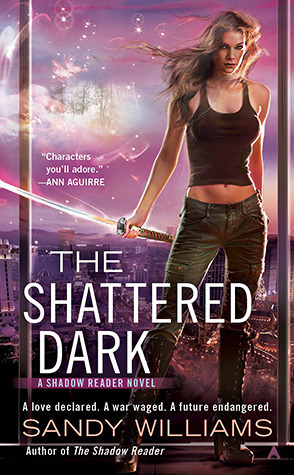 I really like the sounds of Shattered Dark - I'll have to check out the first one though! Well The Shattered Dark sounds interesting! Sort of remind me of the Fever series, but I don't mind! Ooooh! I'm really liking the sound of the first one! I love me some naughty Fae! Stopping by with My WOW! The Shattered Dark sounds great, will have to check it out. I'm behind on the Christina Henry series. Great picks again Jess! Thanks for sharing! I haven't heard of this series before. thanks for sharing. Every time I see your WoW's I realize just how far behind I am on different series. I think you are the Queen of finding great series books to read! I haven't read any of these series, but they look so good! I'm really interested in the Sandy Williams one -- just another to add to the list. Great picks! Haven't heard of either one but they look good. Ok adding both series to my list!! Thanks for stopping by My WoW and for introducing me to new series! Both these books sound great! Adding to my TBR list! I want them NOW! LOL ;p Great picks! Thanks for sharing and stopping by My WoW post! Penguin usually sends me her books. I'll try to keep you in mind if I get this one from them. These are some awesome UF picks! The first cover has a Merit vibe to it. The Shattered Dark sounds unique, good pick! Thanks for stopping by my blog! I haven't heard of either series, but I love the idea of a shadow reader! So cool!! Very nice picks Jessica. Love the covers. I'm a big time cover whore. I'm waiting [im]patiently for both of these titles. Great picks! They both sounds like great books. They are new to me. I have got to check The Shattered Dark! Happy reading and thanks for stopping by my waiting on Wednesday! Sorry I'm so late at commenting back! !